Aquatic plant toxicity tests are frequently conducted in environmental risk assessments to determine the potential impacts of contaminants on primary producers. An examination of published plant toxicity data demonstrates that wide differences in sensitivity can occur across phylogenetic groups of plants. 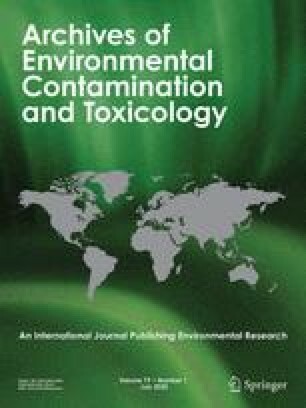 Yet relatively few studies have been conducted with the specific intent to compare the relative sensitivity of various aquatic plant species to contaminants. We compared the relative sensitivity of the algae Selenastrum capricornutum and the floating vascular plant Lemna minor to 16 herbicides (atrazine, metribuzin, simazine, cyanazine, alachlor, metolachlor, chlorsulfuron, metsulfuron, triallate, EPTC, trifluralin, diquat, paraquat, dicamba, bromoxynil, and 2,4-D). The herbicides studied represented nine chemical classes and several modes of action and were chosen to represent major current uses in the United States. Both plant species were generally sensitive to the triazines (atrazine, metribuzin, simazine, and cyanazine), sulfonureas (metsulfuron and chlorsulfuron), pyridines (diquat and paraquat), dinitroaniline (trifluralin), and acetanilide (alachlor and metolachlor) herbicides. Neither plant species was uniformly more sensitive than the other across the broad range of herbicides tested. Lemna was more sensitive to the sulfonureas (metsulfuron and chlorsulfuron) and the pyridines (diquat and paraquat) than Selenastrum. However Selenastrum was more sensitive than Lemna to one of two thiocarbamates (triallate) and one of the triazines (cyanazine). Neither species was sensitive to selective broadleaf herbicides including bromoxynil, EPTC, dicamba, or 2,4-D. Results were not always predictable in spite of obvious differences in herbicide modes of action and plant phylogeny. Major departures in sensitivity of Selenastrum occurred between chemicals within individual classes of the triazine, acetanilide, and thiocarbamate herbicides. Results indicate that neither species is predictively most sensitive, and that a number of species including a dicot species such as Myriophyllum are needed to perform accurate risk assessments of herbicides.